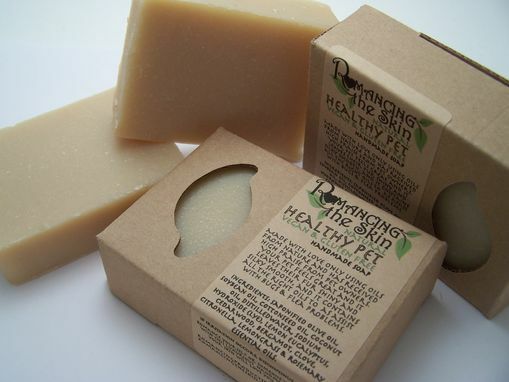 This natural soap weighs between 4.5 - 4.9 oz. 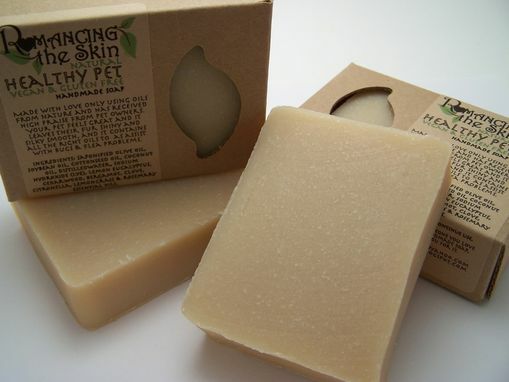 Ingredients: Saponified Olive Oil, Vegetable Oil, Coconut Oil, Distilled Water, Sodium Hydroxide (Lye), lemon eucalyptus, cedarwood, bergamot, clove, citronella, lemongrass & rosemary essential oils. 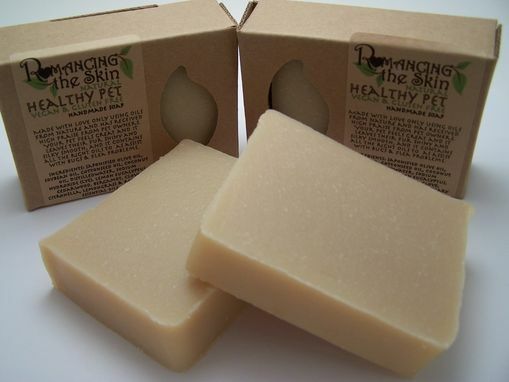 This soap has received high praise from pet owners! It leaves their fur shiny and silky smooth, as well as assisting with bug & flea problems. 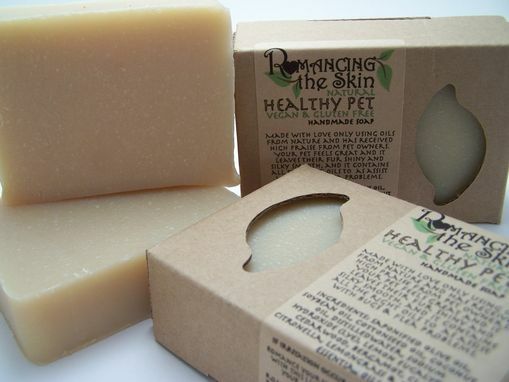 This a great soap for all your furry companions...As a soaper and lover of pets, I just couldn't resist developing a bar of soap for our furry loved ones! I have two Himalayan's that get bathed with this soap on a regular basis. Made with love only using oils from nature. Cedarwood oil In ancient times the wood was prized because of the high percentage of effectiveness for repelling ants, moths, and harmful insects. It is believed that Insects hate the smell of cedarwood, therefore it makes a great repellent. 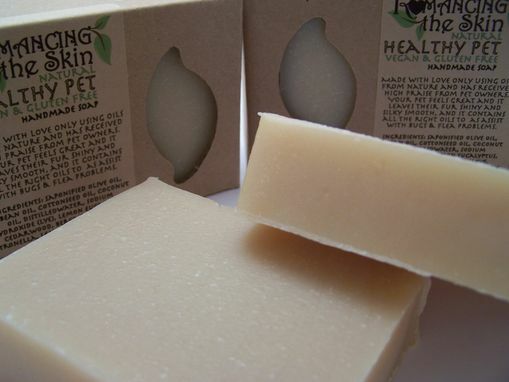 Lemon eucalyptus is a natural fumigant and is used as a home remedy for insect repellents. Bergamot oil has some great antiseptic and antibiotic properties when topically applied to the skin and for this reason is often used to help sort out problem acne skin. Clove is a natural antiseptic, it can be effective in treating bee stings and insect bites as well as cuts and bruises. It's also been shown to be of use on other fungal infections. Citronella essential oil is known for its effectiveness as the insect repellent as well as for the soothing effect of its aroma on your senses. The smell of this oil has really unique combination of fresh, lemony, fruity and sweet aroma. Lemongrass is quite popular as an insect repellant due to its insecticidal properties. It kills insects and keeps them away. Rosemary is recommended by many authorities for its cell regenerating powers. 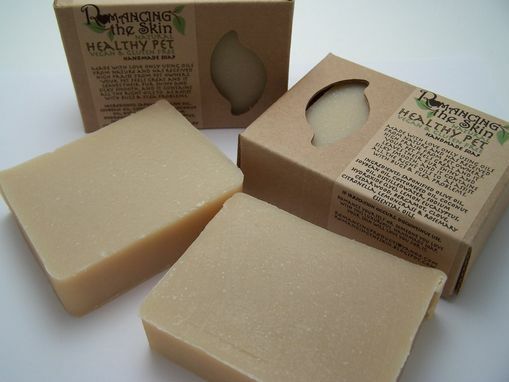 Its supreme skin regenerative and wound healing properties make it especially useful for treating chronic skin conditions, dermatitis, eczema and psoriasis.